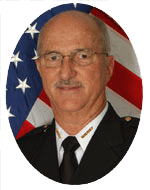 Self-motivated, result-oriented senior manager with 40+ years of increasing responsibility in the public safety field. Proven ability in operations management. Successfully prioritize and manage a broad range of responsibilities. Resourceful in providing practical solutions for complex problems. Adept at motivating and building cohesive teams that achieve results. Advanced knowledge and experience in public safety issues. Extensive multi-agency experience, including international relations. 1980 - 1994, Adjunct Faculty - University of Tennessee at Chattanooga - Chattanooga State Community College - Cleveland State Community College. Violence in America; Critical Issues in Law Enforcement; Advanced Administration in Criminal Justice; Juvenile Law; Criminal Evidence; Criminology; Organized Crime.